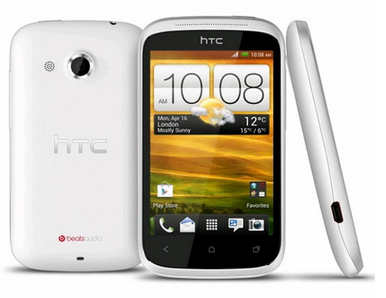 HTC has officially launched their mid-range Android smartphone HTC Desire C. The phone has been priced at Rs. 14,999 and runs on Android 4.0 ice cream sandwich. The smartphone is packed with a 5 megapixel camera and 3.5 inch capacitive touchscreen. HTC Desire resembles alot in terms of design with Explorer which was also a budget android phone from HTC. HTC Desire C sports a 600 MHz processor along with 512 MB of RAM. Users buying the phone will get 25 GB of free Dropbox storage space. The Desire C also has HTC Sense 4.0 UI which runs on top of its 320 x 480 capacitive display.